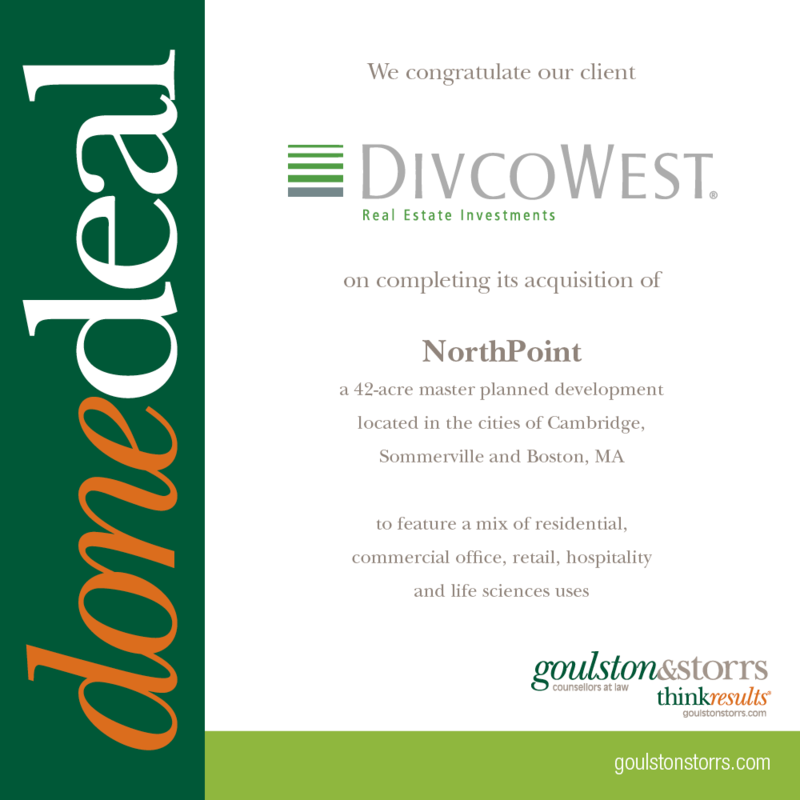 Representation of DivcoWest with respect to Cambridge Crossing, its 42-acre, 5-million-square-foot, mixed-use redevelopment of a former railyard on a site that overlays Boston, Cambridge, and Somerville, MA. The planned development includes a centralized retail square, multifamily residential components, 20 acres of green space, a 370,000-square-foot office building, a 390,000-square-foot office building and significantly improved road infrastructure. The parcel also encompasses a light rail commuter station that will be redeveloped by the MBTA in collaboration with the Cambridge Crossing project.